Blend almonds them in a food processor or blender until they resemble a very coarse meal. Scoop them out of the processor and set them aside – this keeps them from turning to mush while you chop everything else. 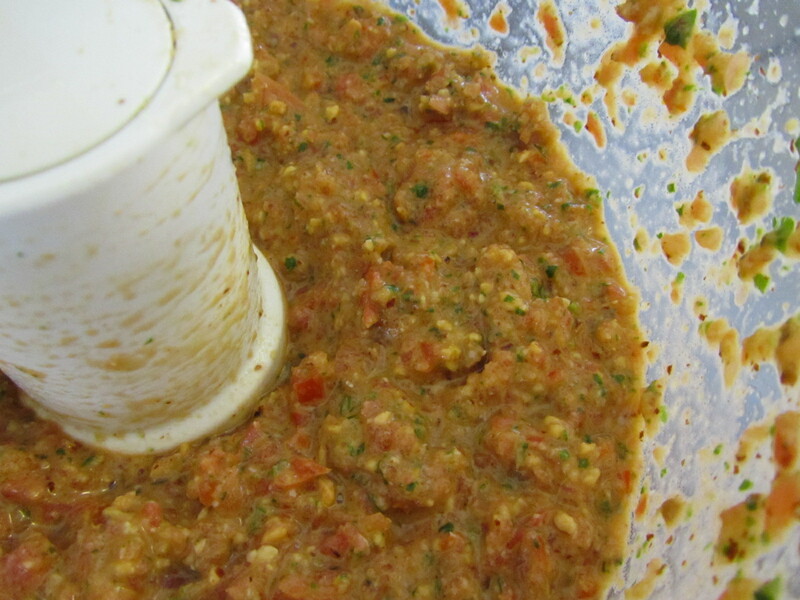 Put the basil and garlic into the food processor with a few dashes of sea salt and chop. 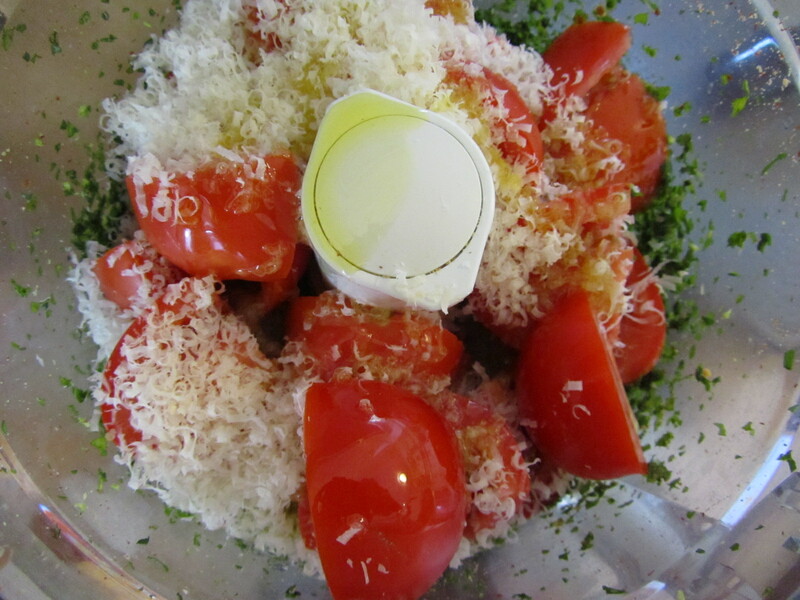 Add the almonds back to the food processor with the tomatoes, cheese and olive oil and pulse briefly. Season it with freshly ground black pepper, and additional sea salt if necessary (to taste – my not-so-stellar tomatoes needed a little extra help!). 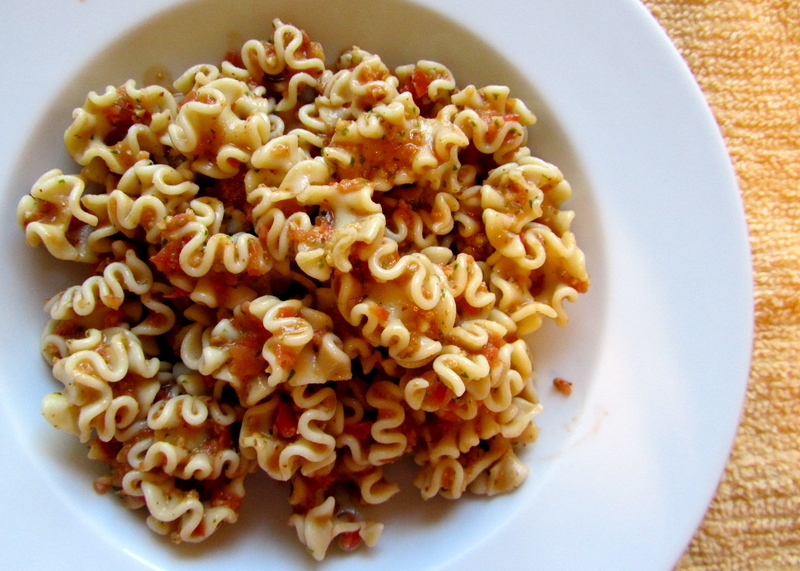 Cook your pasta until al dente. Reserve one cup of pasta cooking water, then drain and immediately put the pasta back into the cooking pot and mix quickly with the pesto. Add some pasta water if needed to thin out the sauce. Serve this lukewarm, or at room temperature. This entry was posted in main course, pasta, vegetarian and tagged pasta, pesto, summer, tomato, tomato pesto, trapanese by Laura Zolnoski. Bookmark the permalink.